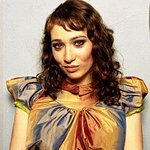 Regina Spektor, the Russian born singer-songwriter, has recorded a new version of Radiohead's “No Surprises” to benefit the Doctors Without Borders' Disaster Relief Fund to aid the continuing recovery of earthquake victims in Haiti and Chile. The tune went up for sale on iTunes on April 27, 2010, for $1.29. In March 2010, Ms. Spektor spent time at New York City’s Fillmore at Irving Plaza raising money for Doctors Without Borders (also known as Medecins Sans Frontieres). To learn more about Doctors Without Borders, please visit www.msf.org.